In Las Vegas, violating temporary restraining order bail bonds can lead to serious consequences for the defendant and cosigner. If you have signed a bail bond for a defendant that violates a TRO, you need to understand what that means if you’re the defendant or the cosigner. A restraining order keeps a person from performing a certain act. Typically, this order can keep the person from approaching or contacting a victim of an alleged crime. This may also be requested by a company to keep a certain person away from their workplace or assets such as their cars. If this is a temporary restraining order, there is a time limit for the order and usually this is 2 weeks or less. The victim may request for a longer time period for the restraining order, but they will have to prove to the judge that the defendant may harm them in some way. A temporary restraining order may be requested by someone who feels that you’ve been harassing them or who claims that you’ve threatened them in some way. A former lover or wife, or even a former employer, may file a temporary restraining order against you. If you are a fan of a celebrity and they feel threatened by you, they may also file a TRO against you to keep you from approaching them or communicating with them in any manner. Once the TRO has been granted, the defendant is required to comply by refraining from contacting the victim. They may also be required to maintain a specific distance from the victim. For example, the defendant may be required to stay away from an alleged victim for a distance of at least 300 feet. However, if the defendant fails to comply with the specific rules of the TRO, they may be arrested by the police. The charges that may be filed against the defendant can include invasion of privacy, intimidation, or harassment, and an additional charge of contempt of court may also be filed. 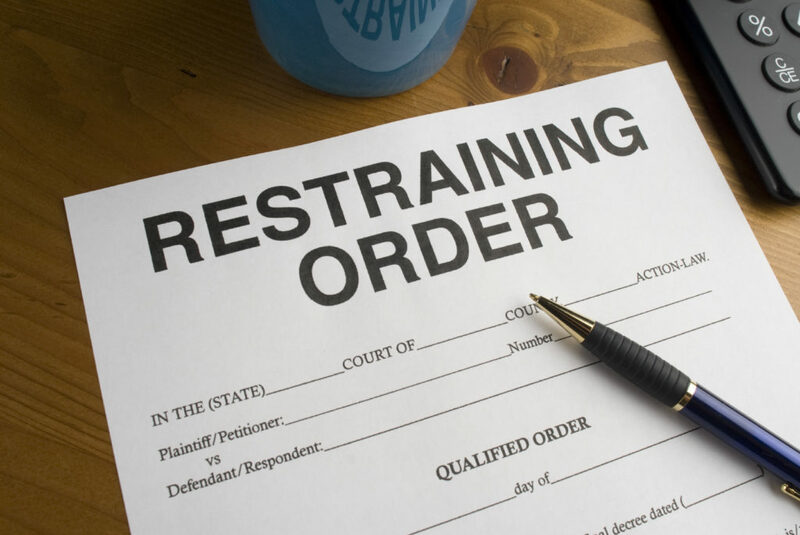 If there is a restraining order against you or a family member, you should obey the order. If you don’t, the police may arrest you. If it is proven that you’ve violated the TRO then the judge may decide to keep you in jail for the offense. However, it is also possible that bail may be offered so that you can get the chance to get out of jail. The decision of whether bail can be offered for your case will depend on the various facts of the case. These will include your personal behavior and your criminal history. If you constantly threaten the victim and you have a long criminal history for violent crimes, bail may be denied. What is a Temporary Restraining Order Bail Bond? However, in some cases the judge may still allow you to get out of jail on bail for violating a temporary restraining order. The bail bond will not only involve a bail amount which generally may include a higher amount compared to a standard bail bond. Additional protective measures will also have to be enacted. The main stipulation will be that the temporary restraining order will still be in effect and the defendant must never violate it again. It is very rare for bail to be granted when the defendant has violated a TRO more than once. In addition, the defendant may be required to check in with the bail agent or with the court on a daily basis. They may also have to provide current information as to where they plan to be for the day. These conditions must also be followed or else the defendant may be arrested again and be sent back to jail with their bail revoked. If you or a loved one has been accused and arrested in Las Vegas for violating a temporary restraining order, you should contact our office so that our bail agent can provide the necessary information and advice you need. If you are allowed to get out of jail on bail, we can write the bail bond that may get you released. We can then inform you of what you need to know so that you can be in full compliance with the TRO so you do not inadvertently violate the order. Temporary restraining orders can be complicated, and you may not understand the rules. We can help you understand the rules so that you can remain out of jail. Give us a call today at 702-899-2775 to know more.